When gplink is exhibiting at a show, we commonly tell our guests and new customers that the value of the gplink remote monitoring system will actually pay for itself, sometimes before the end of the first year. This is not just boasting, considering it has been proven time and time again by our captains, owners, fleet managers and partners. 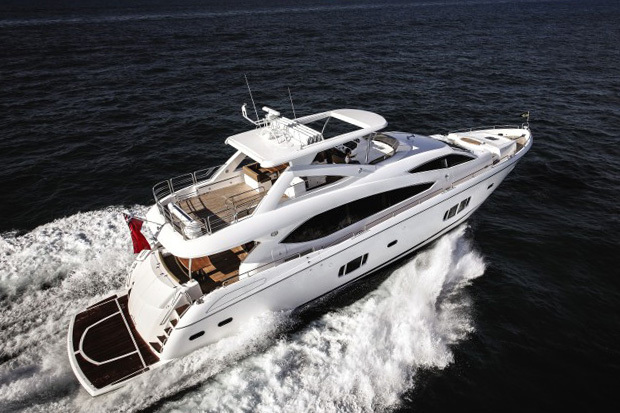 Glenn Markus, owner of Full Circle, a 2013 Sunseeker 88’ recently received a high-water alarm from the gplink system aboard his Cat powered yacht. A fitting on the air conditioning had broken, filling the bilge with sea water faster than the bilge pump could remove it. The timeliness of the alarm allowed Markus to attend to the boat quickly, foregoing any costly damage or situations. Markus really likes the breadth of monitoring his gplink system provides, and praises the alarms for notifying him of situations he may not have noticed on his own right away. In the past, Markus has also received alarms for failure of AC power while Full Circle was at the dock. These alerts provided him time to assess the situation and react before experiencing a loss from crucial systems being down – even if it was just the refrigerator or freezer! The gplink remote monitoring system proves its worth often and offers peace and joy, not only during the holiday season, but throughout the entire year. Our customers have peace of mind knowing gplink has their vessel covered, and they are filled with joy when their gplink system provides timely alerts saving them money on costly repairs and clean up!